Dr. Raj holds a B.Sc. degree in Nutrition and Dietetics from Madras University and M.Sc. degree from Bombay University in India. She subsequently completed her M.S and PhD degrees in Nutrition Science from Syracuse University. Dr. Raj is also a Fellow of the Academy of Nutrition and Dietetics. Dr. Raj is interested in exploring the role of acculturative factors as they impact the health and well-being of Asian Indian immigrants specifically from India. Since 1994, she has developed dietetics related educational resources, written book chapters and given presentations highlighting the unique Asian Indian culture, food habits and role of food as delineated in the traditional medical system of Ayurveda. 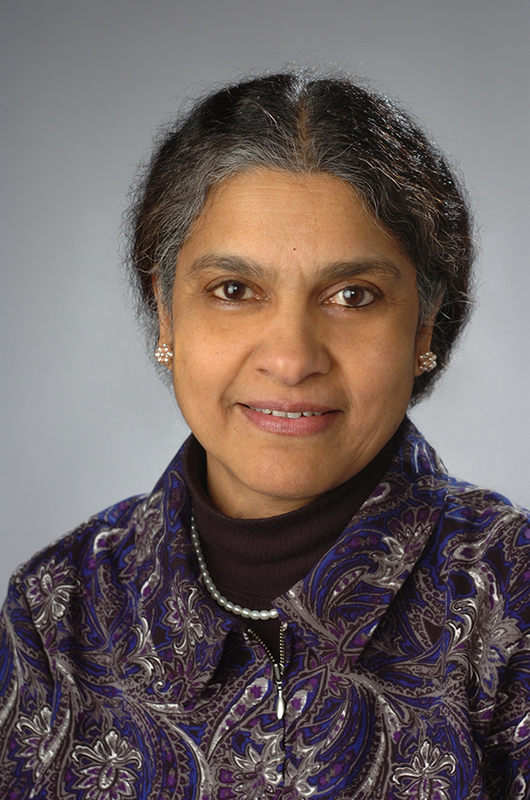 She was instrumental in developing and implementing one of the first pilot studies to investigate dietary acculturation patterns in Asian Indian immigrants in the U.S. Recently she was one of two academy members responsible for the inception of the Member interest group for Asian Indians in Dietetics. Dr. Raj has been actively involved with the Academy of Nutrition and Dietetics. She has served as Newsletter Editor, Chair for the Vegetarian Nutrition Dietetic Practice Group and Chair for the Vegetarian Nutrition Evidence Analysis Group. She has also served as a committee member for the development of Standards of Practice for the Dietitians in Integrative and Functional Medicine. Dr. Raj’s research and curricular development interests extend into the areas of vegetarian nutrition, integrative and functional nutrition and traditional food and medical systems such as Ayurveda. She is currently involved in the development of a Certificate of Advance Studies in Integrative and Functional Nutrition at Syracuse University.